If you are as old as me you know about mixed tapes and now you can make one USB style all thanks to this Cassette Tape USB Flash Drive. The flash drive is a real cassette tape only now with a USB flash drive build in so that you can use it to store your music or other digital files on it. And you can get this tape personalized with your message on the front and you can select a fun box to store and gift it in. 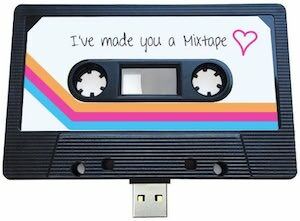 So if you want to surprise someone with a mixed tape then you just have to get this Cassette Tape USB Flash Drive. If you have a nice phone that does wireless charging and want something nice to use then check out this Wooden Wireless Phone Charger. 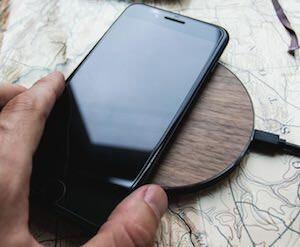 Most wireless chargers are just plain ugly but now you can have one with a wooden top and they come in walnut and cherry and the thin layer of wood will not limit the charging of your phone. The charger is a Qi charger of 10watt and that makes it just perfect for fast charging your device in a classy way. And when not in use the round wooden disc will look great on your desk so come and get your Wooden Wireless Phone Charger. 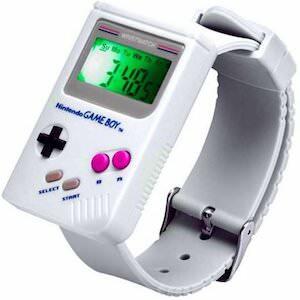 If you want to know time and like Nintendo then you want to get this Game Boy Watch. The wrist watch is not like an Apple Watch as this just tells time but it does look like a small version of the classic Game Boy like Nintendo was famous for. And yes it is a shame that you can’t play games on it but it does have Game Boy sounds. 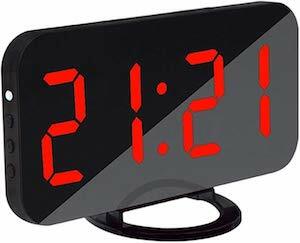 So now you can have the cool way to tell time all thanks to the retro Game Boy design. No need to look at your phone to see time, just order this Game Boy Watch. 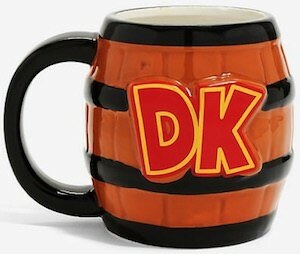 If you like coffee and classic video games then check out this Donkey Kong Mug. The mug is shaped like a barrel as Donkey Kong likes to throw those around. The barrel mug has room for 20oz of your favorite beverage and yes that could be coffee or tea but a pop or something stronger could work too. And the mug is ceramic but not dishwasher or microwave safe so take care of it and you will enjoy this fun mug a long time. A mug like this is great for at home but would work great at the office too so come check out this Donkey Kong Mug.